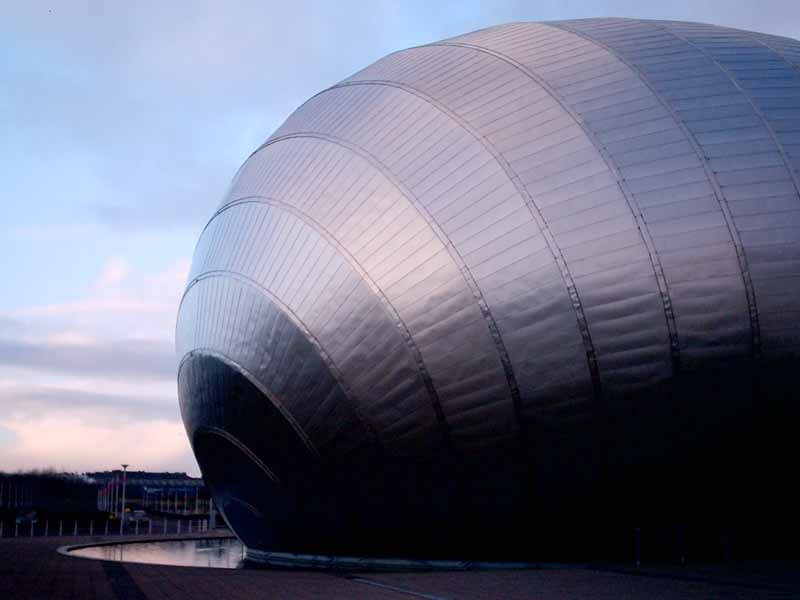 18 Oct 2013 – Cineworld’s new Image Maximum (IMAX) attraction at the Clydeside venue is promising a state-of-the-art digital projection system that delivers lifelike, crystal-clear images. 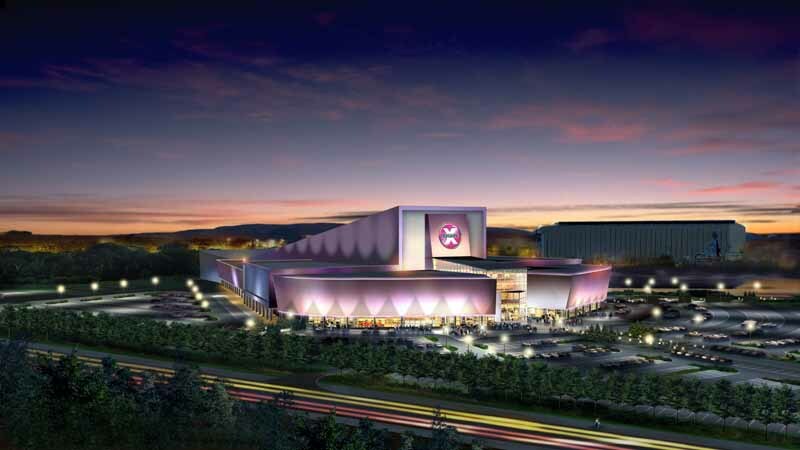 And the new digital projection system will enable more ‘wrap-round’ IMAX movies to be screened at the venue. 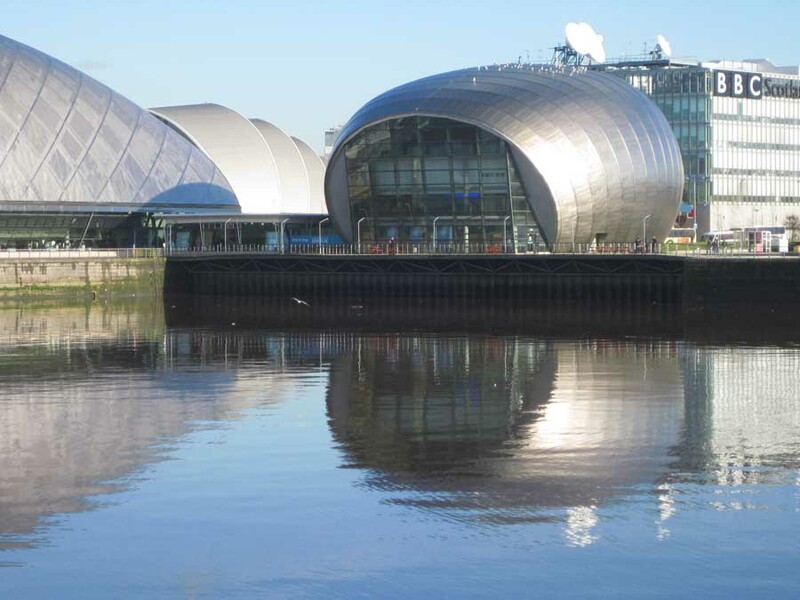 Imax Glasgow shows 2D and 3D films and has a digital 12,000 watt sound system. 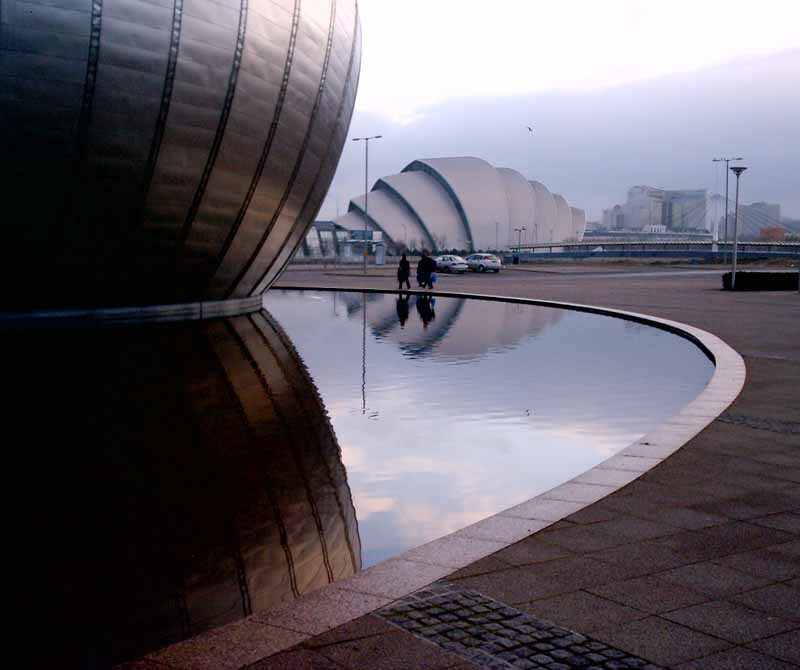 The cinema is located just south of the Science Centre in a shallow pool of water. 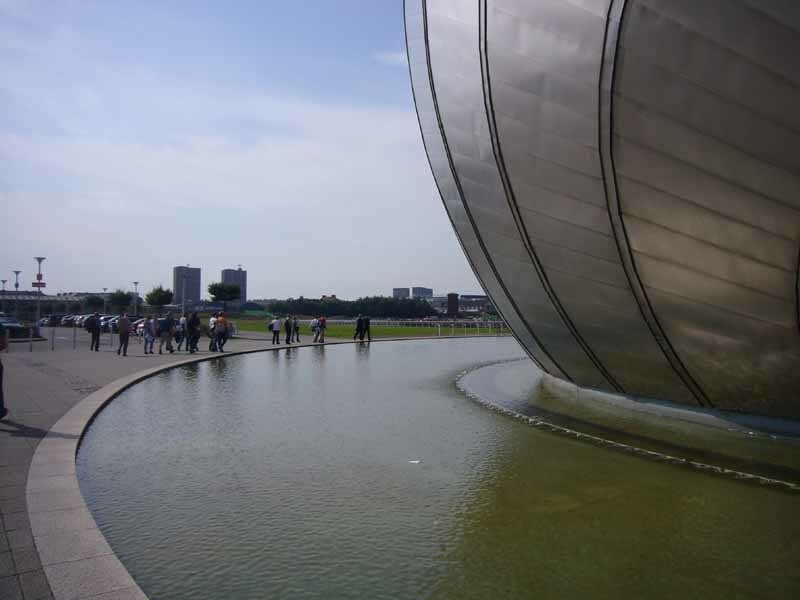 The design of the Imax building wraps around the cinema, though there is a gap between the inner form and the actual shell. 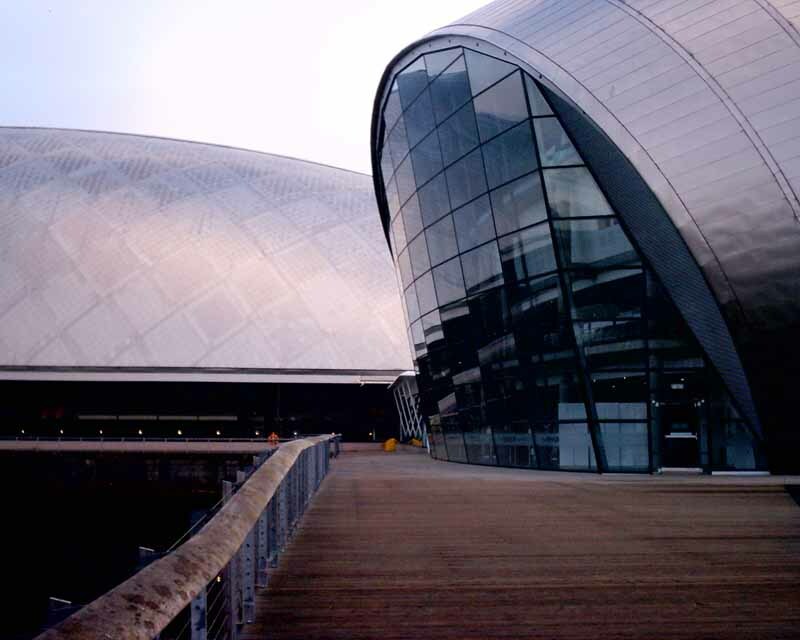 The Imax exterior is memorable, a simple iconic form that works well against the Science Centre building to the north. 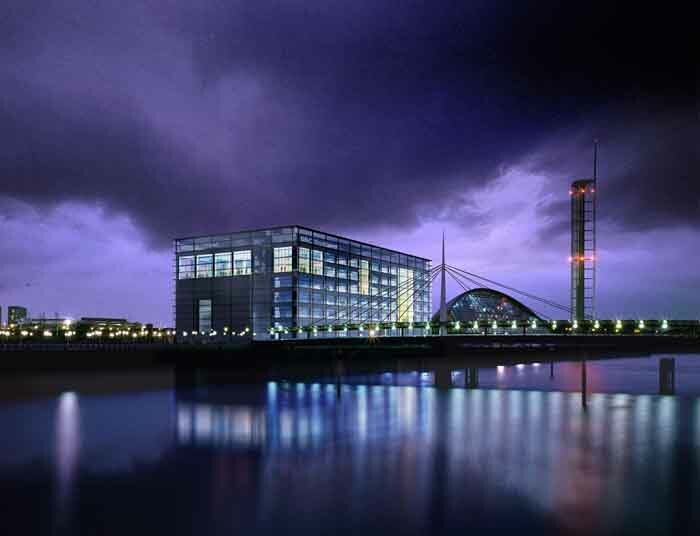 In the background of the top imax cinema photo (above) is Glasgow Tower, 105m high, designed by Richard Horden Associates with BDP. 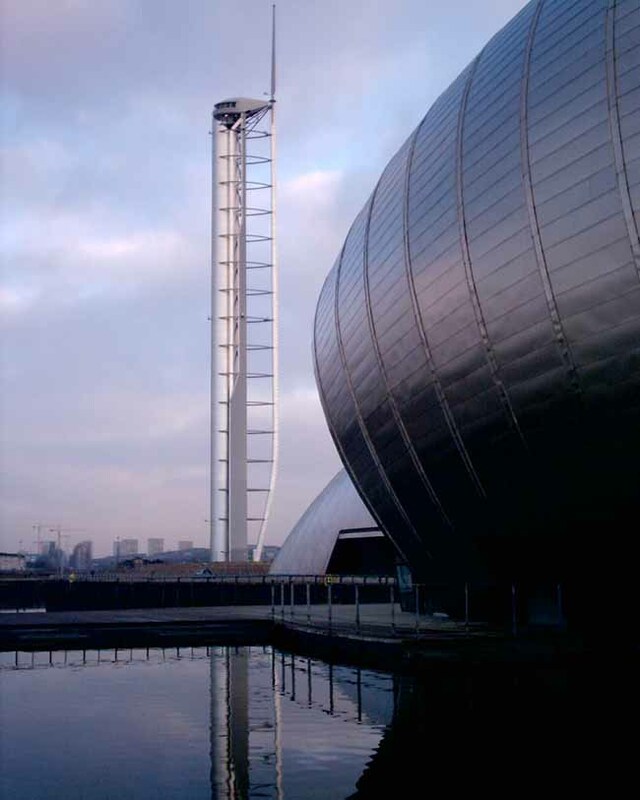 This tower is the only building in the world capable of turning 360 degrees from the ground up. 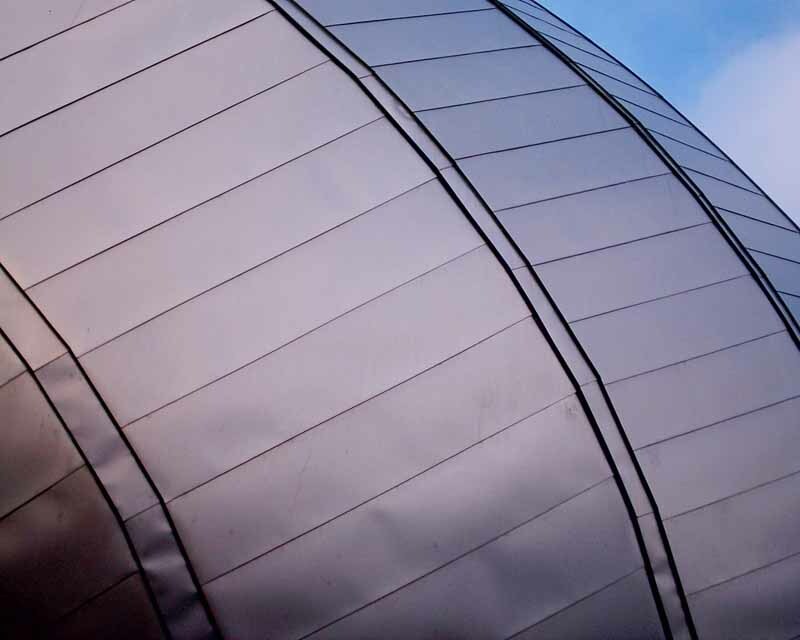 The aerodynamic structure allows the entire building to turn and face the wind, thus reducing wind resistance. 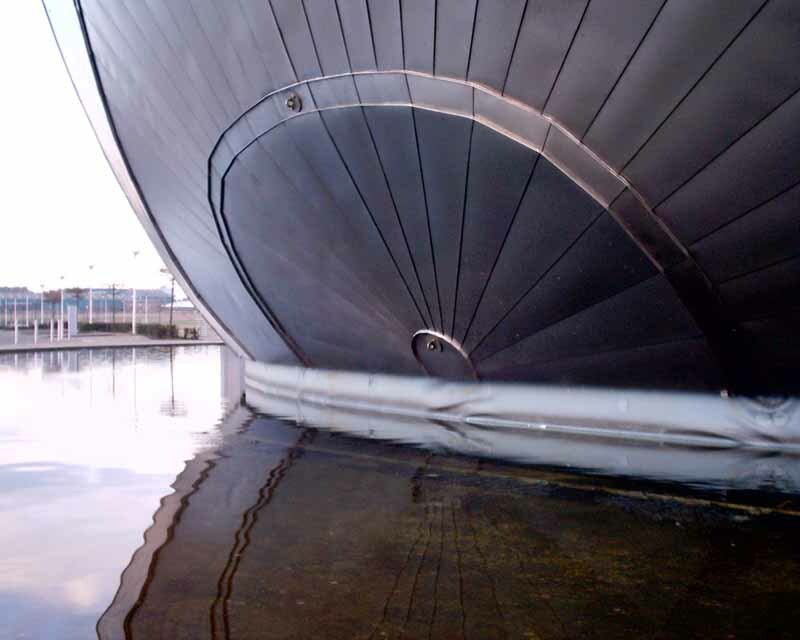 There is a two and a half minute ride to the top but it has been plagued with problems so call before you visit. 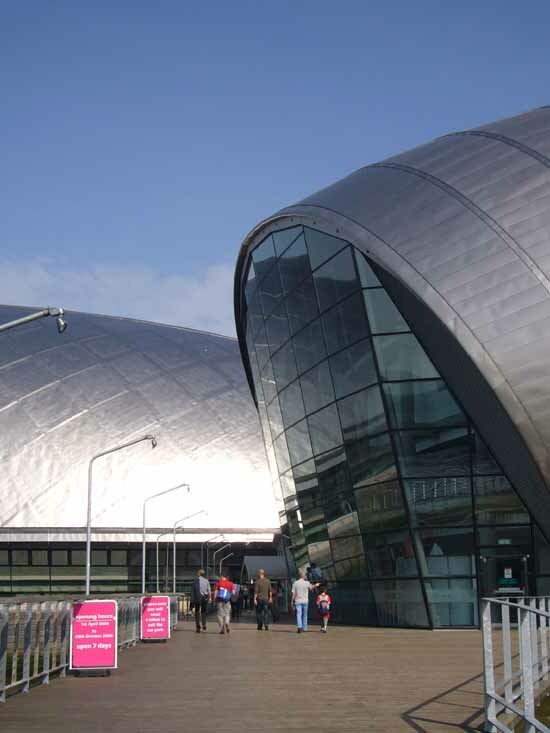 Like the Science Mall the Imax Glasgow is made of titanium. 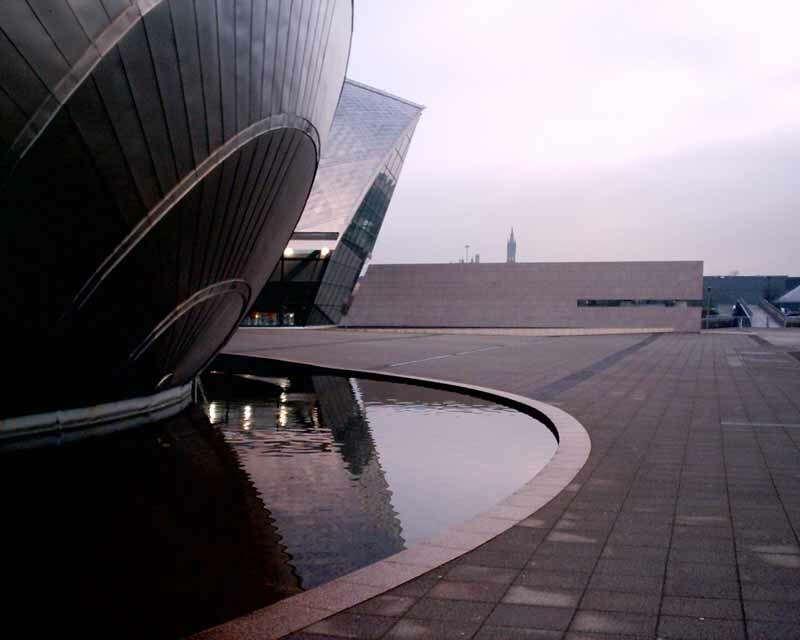 This is an expensive but long-lasting material, reflective but supple it gives a softness to the exterior of the cinema building. 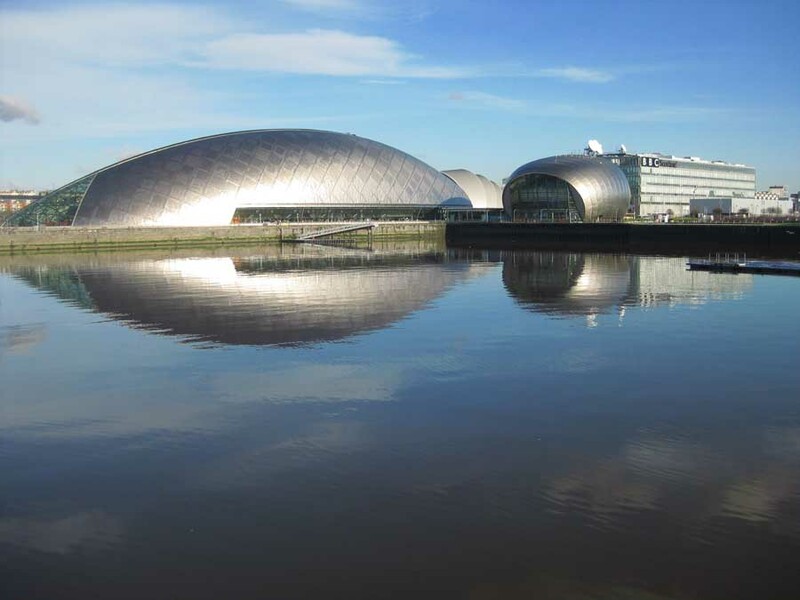 The Science Centre has good views of the River Clyde over three floors. 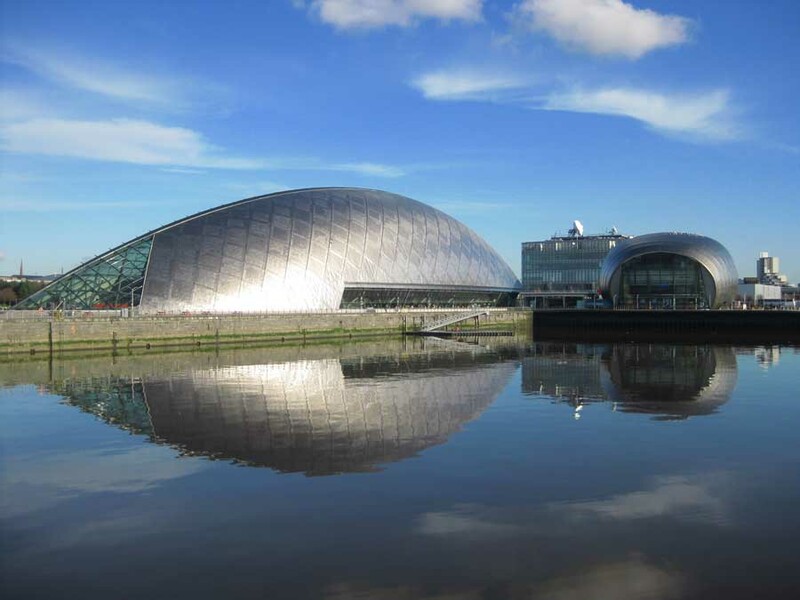 There is a planetarium, cafes and shop, interactive workshops and live science shows. The cinema is located on the south side closest to the car park.